‘Whomsoever deliberately falsely attributes a Hadith to me should prepare his abode in Jahannam. The above narrations indicate the caution that Sahabah displayed when it came to reporting Hadith from Nabi (sallallahu ‘alayhi wa sallam). How much more caution we ought to exercise especially since the Muhaddithun have said there are approximately two hundred Sahabah that have reported the Hadiths warning against fabricating a narration! It is because of warnings like the above, the Muhaddithun generally prefer the option of caution. We too should follow suite. 1) Is prayer﻿ t﻿he mi’raj of the b﻿eliever? 4) He who knows himself, knows Allah? 6) Salt﻿ b﻿efore meals, sunna﻿h? 8) Origin of the tashahhud : a Heavenly Conversation﻿﻿﻿ ? Is prayer the mi’raj of the believer? The statement As-salatu Mirajul Mumin is not a hadith. However, the meaning of the statement is generally supported by other references of the Quran and Hadith that salah is a means of communicating with Allah. Glance to parents = reward of an accepted Hajj ? However, majority of its the narrators are unreliable. Therefore, this narration is unreliable. Therefore, this narration is also unreliable. Therefore, all these narrations are extremely weak. In fact, Allāmah Suyuti and Allāmah Ibn ‘Arrāq have classified it as a fabrication. Both have narrated the Hadīth in their books on fabricated Ahādīth; Az-Ziyādāt ‘Al-al-Mawdhū’āt and Tanzihu-sh-Sharī’ahrespectively. After Allah Ta’ala and his Rasul (sallallahu’alayhi wasallam), there is no one who has more rights on us than our parents. The Hadith you have queried has very unreliable chains. One should rather quote the following authentic Hadith which has similar meaning. The above Hadith proves that one who cares for his/her parents, will indeed receive the rewards of Haj, ‘Umrah and striving in Allah way. 1) recite sura fatiha 4 times before sleeping, thats like you have given 4000 dinaar in sadqa daily. 3) recite durood ibraaheem 10 times before sleeping, thats like you have paid for the price of jannat. 4) make istighfaar 10 times before sleeping,, thats like you have made peace between 2 fighting persons. 5) read 4th kalima 4 times before sleeping,thats like you have performed hajj. We were unable to locate any such hadīth. I was unable to locate this Hadith in any authentic Hadith book. One should be cautious and abstain from quoting a Hadith (like the one in question) when the Hadith is untraceable in any original Hadith source, until its authenticity can be verified. Kindly see here for more posts regarding the virtues of surah Ikhlas, surah Fatihah and others. So in conclusion, do NOT attribute this narration to the Prophet ﷺ nor believe the content of this narration with regards to the rewards, but reading this is fine. He who knows himself, knows Allah? These words have been deemed as a fabrication, and not a Hadith of Rasulullah (sallallahu’alayhi wasallam) by several Hadith masters. These words are actually attributed to the famous Shaykh, Yahya ibn Mu’adh Ar- Razi (rahimahullah), and may be quoted as such. Al-La-alil Manthurah, hadith: 100, Al-Maqasidul Hasanah, hadith: 1149 & Kashful Kahfa, hadith: 2532. However, the broader meaning is indeed correct, as one who ponders over the wisdoms of Allah Ta’ala’s creation, can definitely understand His Greatness. There are several such encouragements in the Quran for us to ponder over such. This however, does not warrant us attributing these words to Rasulullah (sallallahu’alayhi wasallam). Aysha (RA) found her needle through the Prophet [ﷺ]’s light? Hafiz Ibn ‘Asakir (rahimahullah) has recorded this narration in Tarikh Dimashq. Hafiz Dhahabi (rahimahullah) has indicated that this Hadith is a fabrication.’Allamah Al Muhaddith ‘Abdul Hayy Al Lakhnawi (rahimahullah) has also classified this story as a fabrication. He states that this narration is not established at all. The Hadith therefore is not suitable to quote. Allama Shami quoted this hadith in his book ?Raddul Muhtar? that food should be started with salt and should be ended on salt. But this hadith is not authentic i.e. it is not of such status that it can be regarded as sunnah; therefore it will not be called sunnah. It is not wrong if you act upon it or leave it, both are allowable, there is no sin whatsoever. Q: Is it a sunnah to have salt before and after eating? And is it a sunnah to have sweet things before and after eating? If it is sunnah, what type of sunnah is it? Sayyiduna Bilal (RA) mispronouncing the Athan? Sayyiduna Bilal (radiyallahu ‘anhu) use to change the letter sheen (ش) that appears in the azan to a seen (س). These narrations have no basis and are fabrications. They are not suitable to be quoted. In fact the opposite has been reported, that Sayyiduna Bilal (radiyallahu ‘anhu) was eloquent and had a beautiful voice. Origin of the tashahhud : a Heavenly Conversation ? Could this be sourced please? This incident has been widely quoted. However, several senior Muhaddithun (hadith masters) of the recent past were unable to locate its chain. These seniors include Shaykh Anwar Shah Al-Kashmiri, Al-Muhaddith Shabbir Ahmad ‘Uthmani & Shaykh Muhammad Yusuf Binnori (rahimahumullah). One should avoid quoting such narrations until their chains are located and/or their authenticity is verified. When reciting the tashahhud, the fuqaha (Jurists) state that one should not have the intention of following the above incident. Some scholars have mentioned the incident in reference without its chain of transmission.However, we were unable to locate it in any primary source of Hadīth. In this regard, ‘Allāmah Anwar Shāh Kashmīrī writes, “I have not come the chain of transmission for this narration. It (i.e. the incident) is mentioned in al-Rawd al-Unuf.” It should be noted that ‘Allāmah ‘Abd al-Rahmān al-Suhaylī in al-Rawd al-Unuf also does not mention the chain of transmission. Accordingly, until the chain of transmission is not located and examined, it would be advised not to quote the incident. “Whoever neglects prayer, Allah will send fifteen punishments upon him”? The one who disdains the prayers will receive fifteen punishments from Allah. Six punishments in this lifetime Three while dying , Three in the grave & Three on the Day of Judgement. 3.Allah erases the features of good people from his face. 4.He will be detested by all creatures on earth. 6.He will not be included in the Du’aa of good people. 3. He dies thirsty. Even if he drinks the water of all seas he will still be thirsty. 3. Allah sets on him a snake called “the brave”,”the bold” which hits Him from morning until afternoon for leaving Fajr prayer,from the afternoon until Asr for leaving Dhuhr prayer and so on. With each strike he sinks 70 yards under the ground. 1. Allah sends who would accompany him to hell pulling him on the face. 2. Allah gives him an angry look that makes the flesh of his face fall down. 3. Allah judges him strictly and orders him to be thrown in hell. Hadith of Prophet(P.B.U.H)The one who disdains the prayers will receive fifteen punishments from Allah. Six punishments in lifetime, three while dying,three in grave and three on the Day of Judgement. We have not come across this Hadith. Great scholars like Hafiz al-Dhahabi and Hafiz ibn Hajar (RA) have classified it as a fabrication. Though there may be other Muhadditheen who have not done so. 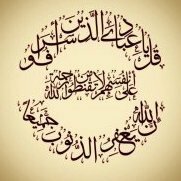 For further clarity, let it be understood that the task of authenticating Ahaadith of Rasulullah (Sallallaahu Alayhi Wasallam) is dependent on the individual theological conclusions of the Masters of Hadith. Better still, caution would demand that we refrain from quoting narrations classified as fabrications by such scholars of Hadith. May Almighty Allah grant us all the ability to keep to the straight path and to keep away from extremism and deviation, Aameen. "Hadith qudsi: I was an unknown treasure?" “I was an unknown treasure and I wished to be recognised. So I created the creation and introduced them to me, they recognised me”. This narration is a fabrication. Hafiz Ibn Taymiyyah, ‘Allamah Zarkashi, ‘Allamah Sakhawi and Hafiz Ibn Hajar (rahimahumullah) are unanimous that this narration has no basis. One should therefore abstain from quoting it. Is “were it not for you, I would not have created the universe” a sahih hadith ? Is there a Hadith stating that the reason Allah created this universe and everything it contains was for Muhammad (sallallahu ‘alayhi wa sallam) to come and fulfil Allah commandments? I’m basically asking, if it weren’t for Muhammad (sallallahu ‘alayhi wa sallam) Allah wouldn’t have created us? Translation: If it were not for you O Muhammad, I would have not created the universe. This Hadith is unanimously deemed as a fabrication, and is not suitable to quote. Many scholars are of the opinion that even though the above Hadith is a fabrication, the concept and meaning is correct and is substantiated by other Hadiths and verses of the holy Quran. A recent Arab scholar, Shaykh Abdullah Siddiq Al- Ghumari (rahimahullah) writes: “The above verse shows that if it were not for man Allah Ta’ala would have not created the universe. Nabi (sallallahu ‘alayhi wa sallam) is the leader of mankind. It was customary for Arabs to address the leader of a tribe by mentioning his nation as an honor for him. Similarly here we are mentioned in the verse, but our leader i.e. Muhammad (sallallahu ‘alayhi wa sallam) is being addressed”. 2. Imam Hakim (rahimahullah) has recorded a lengthy narration on the authority of Sayyiduna Umar (radiyallahu ‘anhu) regarding the tawbah (repentance) of Adam (‘alayhis salam), in which the following words appear “….. If it were not for him (Muhammad sallallahu ‘alayhi wa sallam), I would not have even created you. Imam Bayhaqi (rahimahullah) has graded this Hadith as weak. Some recent scholars are also of the view that this Hadith is weak. Imam Hakim (rahimahullah) has also reported another narration with similar words on the authority of Abdullah bin Abbas (radiyallahu ‘anhuma), this narration supports the previous one thus making it suitable to quote. The words which you have quoted in the question are not suitable to quote as a Hadith, however the narration of Sayyiduna ‘Umar (radiyallahu ‘anhu) in Mustadrak Hakim is suitable and should be quoted instead. Surviving month of Safar will get you Jannah? Q: I need to know the reference and authenticity of the following Hadith about the month of Safar: "The Prophet (Sallallahu Alayhi Wasallam) said "anyone who gives me the good news that he survived Safar, I will give him the good news of that person's entering Paradise". A: We have not come across this Hadith in the authentic books of Hadith. This narration is classified as a fabrication By Imam Saghani (rahimahullah) and Mulla ‘Ali Qari (rahimahullah). ‘Allamah ‘Ajluni (rahimahullah) concurs with their decision. I have read that a person who bathes the deceased, seventy (70) of his sins will be forgiven, if one forgiveness is distributed among the whole creation it will be enough for their forgiveness. Is this an authentic Hadith and is it suitable to quote? ‘Allamah Dhahabi (rahimahullah) and other Muhaddithun have declared this Hadith a fabrication. The Hadith is notsuitable to quote. See a suitable alternative here. Imam Ibrahim ibn Muhammad Al Halabi (rahimahullah) has declared this narration a fabrication due to the feebleness of the words and the exaggerations mentioned therein. This Hadith should therefore not be quoted. Reciting ‘Subhanal Malikil Quddus’after the Witr Salah has been proven in other authentic narrations, without the promise of huge rewards. Sayyiduna Ubayy ibn Ka’b (radiyallahu ‘anhu) reports that Rasulullah (sallallahu ‘alayhi wa sallam) would recite ‘Subhanal Malikil Quddus’. Some versions of this Hadith state that he would recite it thrice. [Translator’s Preface: The following is an analysis of a hadith concerning the supposed virtue of performing two sajdahs after the Witr prayer followed by the recitation of “subbūh quddūs rabb al-malā’ikah wa al-rūh” and Ayāt al-Kursī. This narration has been cited in Yūsuf ibn ‘Umar al-Kādūrī’s (d. c.700 AH) commentary of Mukhtasar al-Qudūrīentitled Jāmi‘ al-Mudmarāt wa al-Mushkilāt more simply known as“al-Mudmarāt.” It was then quoted by ‘Ālim ibn ‘Alā’ al-Andarpatī (d. 786 AH) in al-Fatāwā al-Tātarkhāniyyah. By the being in Whose Hands lies the soul of Muhammad, he will not stand from his place except that Allah will forgive him; grant him the reward of one hundred Hajj and one hundred ‘Umrah; Allah will give him the reward of the martyrs; He will send one thousand angels to write good deeds for him; it will be as if he freed one hundred slaves; Allah will accept his prayer; He will accept his intercession for sixty people doomed to the fire; and he will die as a martyr. This is a fabricated and false hadīth which has no basis. It is impermissible to act upon it and to narrate it except to explain its falsehood, as is the case with fabricated narrations. What indicates that it is a fabrication is the poor wording and the exaggeration that is not in conformity with sharī‘ah and reason, for reward is proportionate to the effort by the dictates of sharī‘ah and reason. The most virtuous of actions are the most strenuous. Indeed, some heretics employ the likes of this hadīth to corrupt the dīn and to deviate people, lure them into transgression, and divert them from exerting themselves in worship. Thus, some of those who lack expertise in the sciences of Hadīth and its routes and lack the ability to distinguish between authentic and false reports are deceived thereby. Rabī‘ ibn Khuthaym states, “Verily, there are hadīths that have a light as bright as day, by which we know (its authenticity), and there are others that possess a darkness, by which we know (its falsity). Ibn al-Jawzī said, “Undoubtedly, the skin of the student of knowledge shivers at the mention of a detestable hadīth, and his heart is generally driven away from it.” “And he to whom Allah has not granted light- for him there is no light.”  And Allah, may He be glorified, knows best, and He grants protection and success. IS LOVING ONE'S COUNTRY PART OF FAITH? There are several narrations which report Rasulullah’s (sallallahu’alayhi wasallam) love and yearning for his birthplace; Makkatul Makarramah. However, the particular Hadith you question has no basis according to the Muhaddithun. ‘Allamah Saghani and Mulla ‘Ali Al Qari (rahimahumallah) have deemed this narration a fabrication. Mulla ‘Ali Al Qari (rahimahullah) writes that IF this hadith were to be proven authentic, the correct meaning of ‘homeland’ would be Jannah or Makkah. He also offers other explanations for this narration. Therefore one cannot quote this as a Hadith. Once Moosa (AS) asked Allah Ta’ala: O Allah! You have granted me the honor and privilege of talking to you directly, Have you given this privilege to any other person? Allah Ta’ala replied, O!! Moosa during the last period I am going to send an ummat, who will be the Ummat of Mohammed (SAW) with dry lips, parched tongues, emaciated body with eyes sunken deep into their sockets, with livers dry and stomachs suffering the pangs of hunger- will call out to me (in dua) they will be much closer to me than you O Moosa! while you speak to me there are 70000 veils between you and me but at the time of iftaar there will not be a single veil between me and the fasting Ummati of Mohammed (SAW) O!! Moosa I have taken upon myself the responsibility that at the time of iftaar I will never refuse the dua of a fasting person! Humble Request: Please spread this Hadith as much as possible to your dear ones. This narration does not come in any of the books of Ahadith. Rather, it is narrated in Nuzhah al-Majalis (pg 182). It also appears in the Tafseer Rooh al-Bayan (8/112). In both these books there is no Sanad (chain of transmission). Furthermore, it is the ‘Aqeeda of Ahl as-Sunnah that the Prophets are the closest to Allah. No Ummati can be equal to a Prophet. And Moosa (alayhi as Salam) is from Ulul ‘Azm (5 greatest prophets). So there is Nakara (discrepancy) in the Matan (text) which clearly shows it is a fabrication. Thus, such messages should not be spread. Is the hadeeth about a person gets 70 times more reward in wearing a turban while praying than if you were turban-less sahih or fabricated? Did a jewish lady used to throw trash at the Prophet’s house? It goes that a Jewish woman in Mecca who would throw garbage on the doorstep of the Prophet (peace and blessings be upon him) in defiance of his message, and one day she fell sick and could not throw the garbage, so the Prophet (peace﻿ be upon him) visited her. Then it is said that she was so amazed at his character that she realized his prophethood and accepted Islam. I have not found a basis for this specific incident in the books of hadeet﻿h or reliable works of prophetic biography, and it seems as though this story has become popular on the tongues of people without an﻿y source to support it, and Allah knows best. However, there is no need to repeat this story because its moral lesson recurs time and time again throughout the life of the Prophet (peace be upon him). There are so many true accounts of abuses whi﻿ch were followed by displays of the Prophet’s clemency and noble character (peace be upon him) and indeed, people’s hearts would change and they would come to faith. The important thing is that we rea﻿d those accounts in the works of Seerah, we should appreciate them, and then strive to emulate that forbearance, clemency and nobility in our own lives.